One of the biggest decisions IT admins have to make when delivering virtual desktops is how users will access them, because it affects the user experience and ultimately the success or failure of a VDI deployment. This exclusive e-guide sorts through the good and bad of using HTML5 browsers, thin clients, zero clients, or even repurposed PCs to support VDI initiatives. 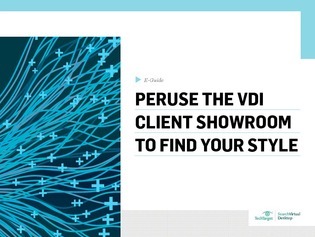 Access now and you’ll learn which one is suited for your VDI deployment.